I popped into C.O. Bigelow whilst in New York – not for anything in particular, I was just trying to escape the bitter cold. I think that the staff knew that, because they followed me about until finally I felt compelled to leave. But not before I managed to take a good few covert pictures! I have a real knack with my iPhone for taking secret pictures, but it does make me look as though I’ve been let out of the loony bin for the day. I basically pretend to have a conversation with somebody, but every now and again, say “hold on, I’ll look up their number for you” and fiddle about with my screen at arm’s length! (Told you I looked mental.) I don’t know why I don’t just plough ahead and take pictures like everyone else; obvious, loud, touristy pictures – it’s like I feel guilty about something, like I’m shop-lifting or something! “Breath Palette”: rank name, great idea. Well, great idea if you like wacky toothpaste flavours, anyway. There were some totally crazy ones – but no ‘garlic bread’, ‘morning after two bottles of wine’, or ‘been travelling for two days with no access to water” breath flavours, fortunately. C.O. 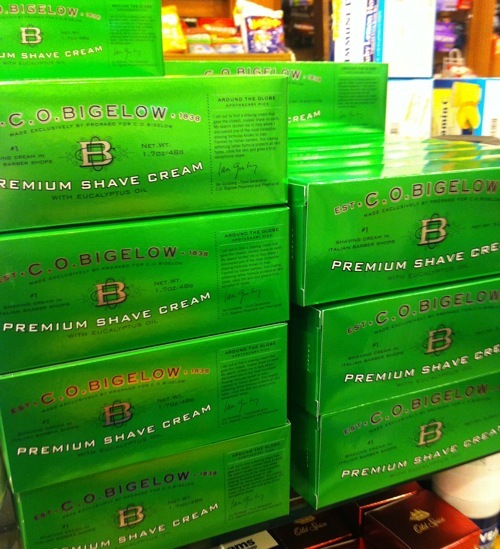 Bigelow’s ‘own brand’ products; loads of them, all in gorgeous fragrances such as Grapefruit, Lemon and Orange Blossom and Lavender. 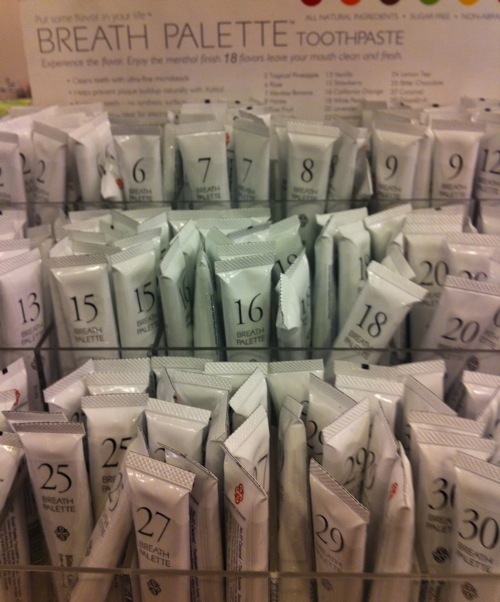 The body creams have an amazing consistency, really creamy and rich. Again it was the signature ‘Lemon’ scent that I instantly liked – you can get a HUGE tub of Lemon Body Cream for $49.50, huge as in almost a litre! 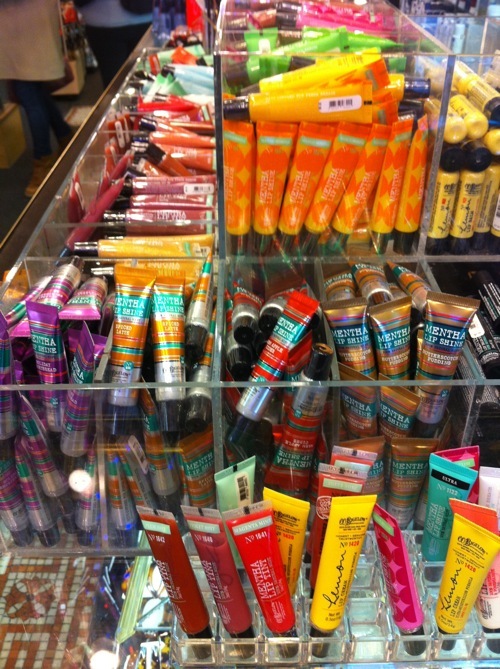 If you do pop by, I can whole-heartedly recommend picking up a lip balm – used by makeup artists the world over – and a big old tub of body cream. 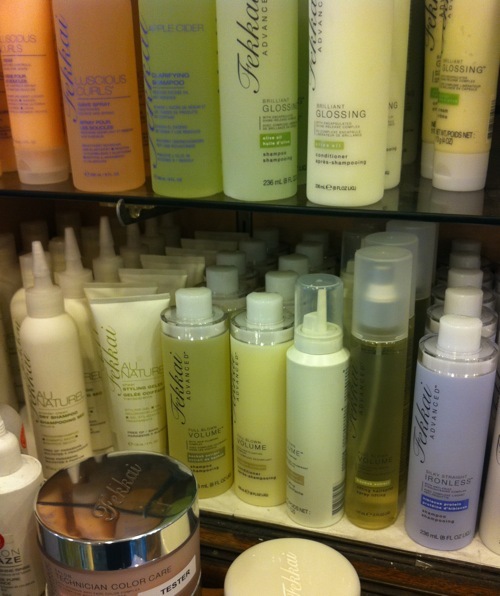 It’s a hefty price tag, but it works out so much cheaper than a standard sized product! The Bigelow Lemon Lip Cream costs $7.50 (about £5 or thereabouts) and the moisturising effects last for ages. Very nice in indeedy. Let’s hear it for “C – O – Bigelow, C- O – Bigelow!” Sorry, that was my inner cheerleader. C.O. 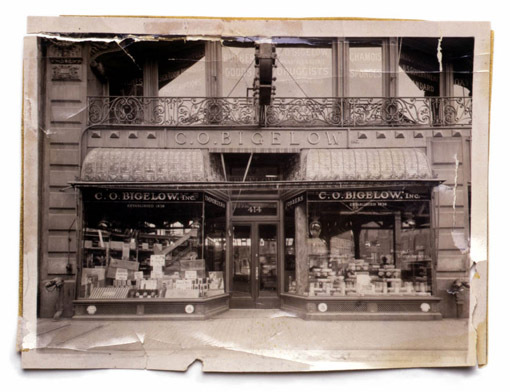 Bigelow, 414 6th Ave New York City, NY.